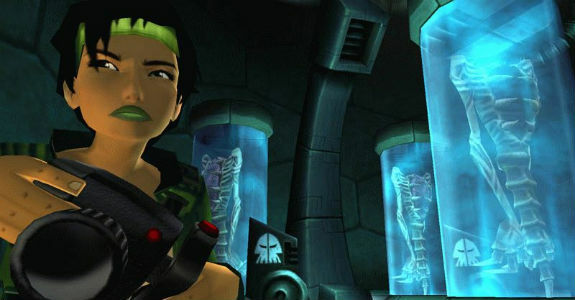 The classic adventure game, Beyond Good and Evil, has been transported from the world of the Playstation 2, Gamecube and Xbox, into the present, and boy, it's good. Remade and spruced up with HD graphics and an impressively smooth frame rate, BGaE HD is one of the best looking remakes on the current consoles. 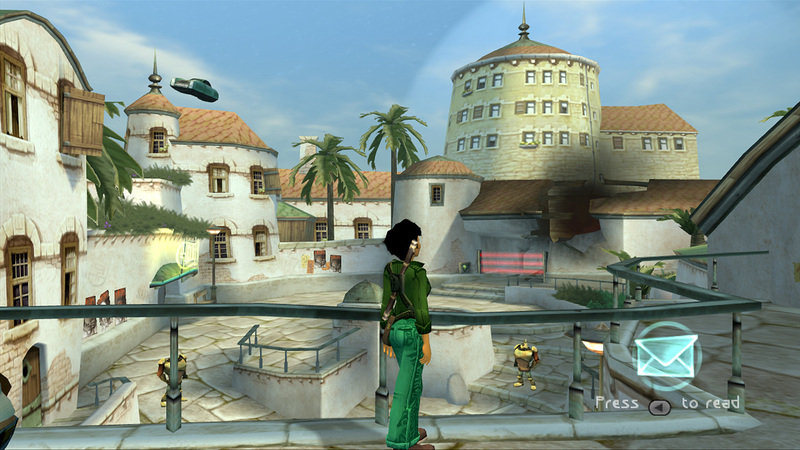 The game starts with an invasion on a small island, which is the home to many orphans, and Jade. Jade is the hero of this story, and with her camera and staff, will end this war. With a massive world, lots to do and a lot of pictures waiting to be taken, it's certainly an epic. You can explore on foot, or you can take to the water in your awesome hovercraft. The main thing that everyone remembers about this game is the ability to take pictures of creatures, in order to help with research. Snapping a shot of a new creature gives you money and eventually upgrades and pearls. This is what makes the game stand out from other, standard adventure games. Using the camera does get addictive, as you're always looking out for creatures, lest you miss any and lose out on some progress and upgrades. The story and characters in Beyond Good and Evil are fleshed out and interesting, and the variety of species really keeps you interested, as well as giving the impression of a vast world, inhabited by many different lifeforms. You find yourself caring for the characters, particularly Pey'j, as he accompanies you on most of your adventures, and has some great lines. Overall, it is a great remake, and gives an entirely new generation the chance to play a true classic. The main issue with the game is the camera control. It is unbelievably infuriating, and does often turn what should be a happy, nostalgic game, into an annoying one. But it is forgivable. To miss out on this game for literally the one problem would be a crime against gaming. If you're looking for a classic adventure game for a small price, look no further.